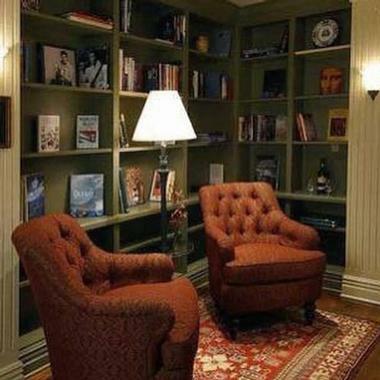 Overlooking the Mississippi River near downtown Memphis, the River Inn of Harbor Town combines the intimate style of Europe and the gracious charm of the Old South to present a stylish and inviting retreat in the heart of Tennessee. 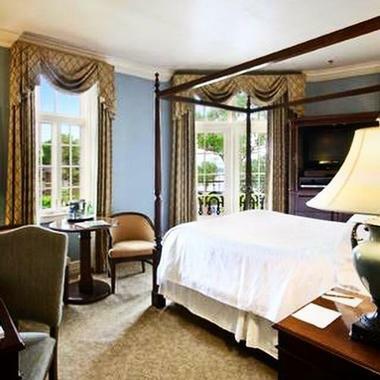 A ‘Ladies Traveler’ preferred hotel, the River Inn of Harbor Town boasts beautiful architecture with intricate detailing such as blooming window boxes, decorative wrought iron, and gas-lit lanterns, along with panoramic views from the terrace. The charming hotel offers 28 luxury boutique guest rooms and suites with Southern and European décor, private bathrooms and modern amenities, as well as two restaurants, banquet and meeting rooms and comfortable spots in which to relax and unwind. Guests can delight in an elevated sense of luxury in one of the 28 beautifully appointed guest rooms and suites, which feature charming European and Southern décor, period furnishings, beautiful woodwork and molding and en-suite bathrooms with walk-in showers, soaking tubs, plush towels and Gilchrist and Soames bath products. Beds are dressed with luxurious Frette linens, white-on-white duvets, and six luxurious pillows and modern amenities include 32" flat-screen televisions, telephones with local calls, and complimentary wireless Internet. Additional items in every room include a glass of champagne or wine on arrival, port wine and chocolate truffles at turndown service, and daily national newspaper delivery. Standard Rooms are luxuriously furnished with king or queen-size beds and have beautiful Mississippi River views, while Junior Suites have king-size beds, spacious sitting areas with large bathrooms and separate showers and lovely views of the Mississippi River. Deluxe and Superior Rooms are luxuriously furnished with king or queen-size beds and Grand Suites queen-size beds, spacious sitting rooms with wet bars, and private bathrooms with walk-in showers and garden tubs. Penthouse Suites have luxurious bedrooms with king-size beds, en-suite bathrooms with garden tubs and walk-in showers, and elegant sitting rooms with fireplaces and wet bars. 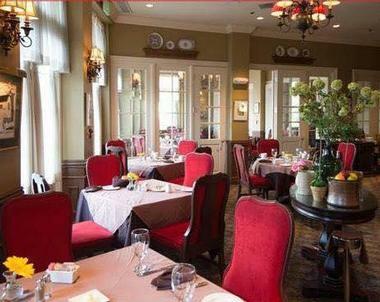 The award-winning Paulette's Restaurant is based in the River Inn of Harbor Town and offers superb food, professional service, and warm atmosphere in which to dine and drink with friends. They also cater for special occasions such as weddings, banquets, business meetings, and more. Boasting an inviting patio with splendid views of the Mississippi River, Tug's is River Inn's casual grill and offers a less formal dining experience with comfort fare, while the Terrace offers an intimate and elegant place to dine with panoramic views of the Mississippi River and the Downtown Memphis skyline. The Terrace serves a menu of classic dishes with a modern twist served in shareable portions and accompanied by Southern-inspired handcrafted cocktails, craft beers, and fine wines. 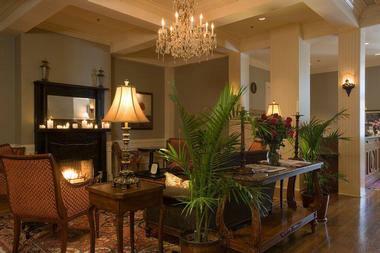 The River Inn of Harbor Town offers an array of amenities and guest services to enhance guest stay, including 24-hour concierge, valet and room service, free parking, a lovely Terrace with sweeping views of the Mississippi River, and a library-style sitting area on each floor with early morning coffee. Other amenities include a fully equipped fitness center, a complimentary gourmet breakfast, a complimentary glass of champagne or wine on arrival, port wine and chocolate truffles at turndown and free high-speed wireless Internet service. Complimentary guest computers are available for guests to use. 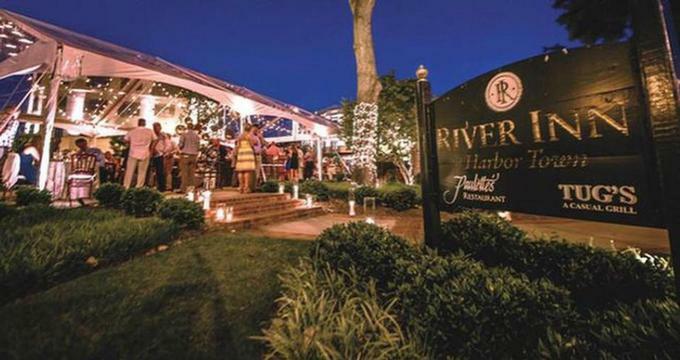 The River Inn of Harbor Town has a variety of beautiful venues for all types of functions, events, and occasions such as weddings, receptions, anniversaries, and birthday celebrations. 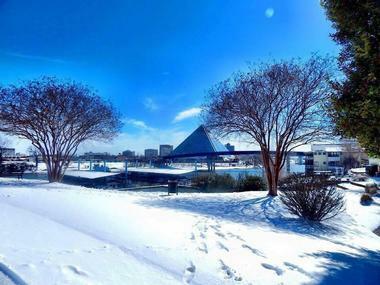 Venues include the Terrace with its breathtaking views of the Mississippi River and the Downtown Memphis skyline, the River Hall Banquet Hall, which accommodates up to 65 guests for breakfast, luncheon, or dinner events, and the three onsite restaurants. The Court Yard caters for up to 120 seated guests and can be covered by a tent in inclement weather. Harbor Town is an award-winning community development that offers an array of exciting attractions, activities, and adventures for the whole family. Established in 1989, the quaint town is home to a nationally recognized collection of beautiful mansions and homes and historic buildings, as well as galleries, museums, markets, cafés and restaurants. The Greenbelt Park nature trail runs along the banks of the Mississippi River and is the perfect place for walking, jogging, running, hiking, and cycling. Other attractions include Graceland, the King of Rock ’n Roll, Elvis Presley’s grand estate, Sun Studio where Elvis and many other world-famous musicians kick-started their careers, Soulsville USA and the Stax Museum of American Soul Music. Beale Street, the Home of the Blues and the Birthplace of Rock ’n Roll is another must-visit in the area.